You can win your husband or wife back after separation. Without the stresses of living together, this is a good time to reconnect emotionally with your spouse. There is hope for marriage after separation. A step by step approach works best. Their is hope for your marriage after separation! Reconciling works best when you don’t try to do it in one step. In fact, it often doesn’t work at all that way. If you will take it in stages, you can go at your spouse’s pace. That will make for conflict free and positive relationship building. The first and most important step in preventing divorce with a separated spouse is reconnecting. 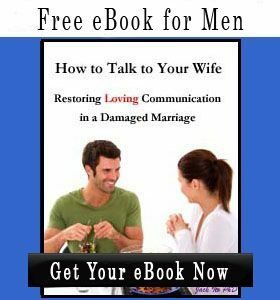 What reconnecting means is increasing your spouse’s desire to communicate with you and to be with you. All attempts to convince your spouse to come back or work on saving your marriage need to be set aside for a bit. Before your spouse desires to be with you, all attempts to convince will just result in rejection. It will also push your spouse further away. It would be like trying to convince someone to marry you who has not yet fallen in love with you. The good news is that unless your spouse will have no communication with you, the reconnect is under your control. 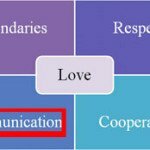 The way that you communicate will either automatically create a connection or automatically push your partner further from you. 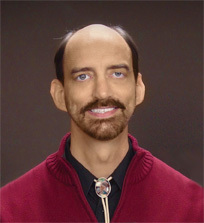 This is because the way we say things trigger attraction or repulsion at the subconscious level. What you need to know. We have no control over who we become attracted to. We only have control over whether we approach them or not. Re-connection takes advantage of this subconscious process. When you only have minimal contact with your spouse, your words, tone, and body language are very important. A really nice message can backfire if it contains just one needy word or behavior. Many people choose to get coaching at this point to be confident of their messages. If you are getting bad responses to your messages, the way you communicate has to be changed. A good guide to overcoming needy behavior is, Overcome Neediness and Get the Love You Want. Many people frustrate themselves after separation when their apologies, generosity, and reasoning don’t work. They attempt to apologize for having made mistakes. They then try to convince their spouse that his or her leaving was a mistake. The apology is too late. Apologies should have come long ago, if you were really sorry about the behavior. Now, they just signal that you want your partner back. The apology is seen as self-serving and not a sign of heartfelt change. The reasoning ignores their current feelings. People make decisions emotionally, then justify with reasons. Reasoning now ignores the fact that they are not emotionally connected to you. A person who is not in love with you now is not going to believe that they could fall in love with you in the future (even though that is very possible). You sound needy and unattractive: the message that really comes across is, “Regardless of how unhappy you are with me, come back to me because I need you,” This is a really selfish and needy message. You must overcome neediness to be more attractive, not become more needy. No one who feels like they have been a victim of a bad marriage is going to want to return just because their spouse needs them or claims to have changed. During the connection phase of reconciling, you have to be careful not to slip into “convincing mode” for any reason. That’s not easy to do when your spouse is telling you it would be better if you were just friends or to give him or her “space.” Clients often need a lot of guidance at this stage because their emotions make them want to react in ways that push their spouse further away. Especially when your spouse is first separating, the connections you make will be very weak. But, if you do this well, your spouse will increasingly enjoy communicating with you. Only then will it be time to start doing activities together. Your spouse won’t want to think of this as “dating,” and it shouldn’t be framed that way. 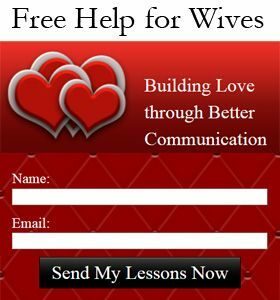 When you are dating your separated husband or wife, It’s an important time to continue to work on building connection. Even now, make no attempt to persuade your spouse to come back. I don’t recommend that you try to work on any marriage issues until after your spouse starts to desire to rebuild your marriage. That means after your spouse is in love with you again. Problem solving is helpful if any issues remain at that time. Often when love is restored, the initial issues are no longer relevant. Working on marital issues and reconnecting at the same time will make both more difficult and less likely to succeed. It is much easier to work on problems with a spouse who wants to have a future with you. This is why marriage counseling is not helpful at first. Marriage coaching which does not involve your spouse, is a better choice. 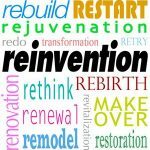 Most of my clients rebuild without ever having to go to marriage counseling. Emotional connection cannot be put on a shelf while you raise the kids or focus on your career. It must be maintained throughout or it won’t be there later. This is a lesson that many men and women do not realize until after their spouse has separated from them. It is the emotional connection between you and your spouse that keeps your marriage together. Appeals to commitments and marriage vows will not work. People do not want to be in marriages simply because of obligation. There is nothing protective in having a marriage license. Marriage is important because it demonstrates the level of commitment that couples have toward each other at the time they are getting married. After that, they must continue to enjoy each other daily to keep their emotional connection strong. Doing that with your spouse only shows your continued commitment. It is important not to try to use your spouse’s obligation to the marriage, or to the children as motivators to get your spouse to come back. Guilty compliance creates more distance and would make your relationship even more disconnected. Most of the time it will not work anyhow, as your spouse already believes he or she is doing the best thing for your family. To be effective, you will need to make a shift in thinking from what you want to what your spouse wants. Become familiar with the reasons why husbands separate or why wives separate, depending on the gender of your spouse. This will help you to start thinking about your spouse’s perspective. You can increase your empathy by thinking about how you would feel and what you might do if you were in your spouse’s situation. You need to start to empathize with the reasons your spouse has separated. Unless your spouse is a monster, he or she has not separated in order to hurt you or the children. Your spouse probably has not been happy for some time and just really wants to be happy . 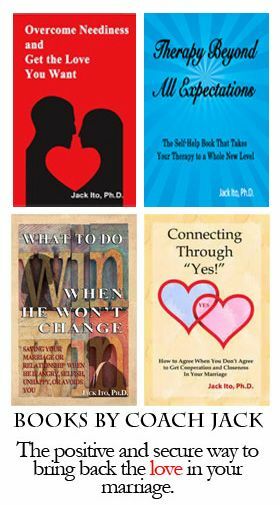 Understanding that will help you to be in the right frame of mind for getting started on reconnecting and rebuilding your relationship. Giving you a play by play of exactly what to say and do in every situation is not possible in a blog post or even a book. You need to either master the general principles, or get help with the day to day interactions. This is especially true when you are building that fragile bridge. As your relationship becomes stronger, you will not need as much help. Some of my clients only have a little text message contact at the time they begin services with me and some have daily contact with their spouse. Because of this I offer flexible coaching packages that offer daily email support or simply weekly sessions. How much your relationship is building will help you to determine the level of help you need. If your relationship is building well, then you may not need any. When have I waited too long to get help? Once there is no longer any communication, or once your spouse has already committed to another partner, there is nothing to do but to move on. If your relationship is not at that point yet, don’t wait for that to happen. Start today to emotionally reconnect with your spouse. How your separation goes will depend largely on what you say and do.